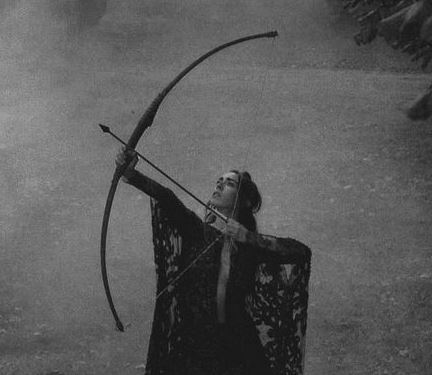 Full Moon in Sagittarius-Ready, Aim, Shoot! The Moon waxes full early tomorrow morning (12:11am EDT) in the astrological sign of Sagittarius. The Full outpouring of moonlight punctuates the fiery nature of Sagittarius and its dynamic of reaching outward expansively and intentionally. As with every Full Moon the astrological sign of placement is that which lay directly in opposition to the placement of the Solar Month on the zodiacal wheel. We have been exploring the energy of the solar month and Gemini’s very stylized and expressive method of communication. Sagittarius also is a master of communication with its style being one of gathering everyone together, establishing community and then letting the natural rhythm of communal dialogue run its course. There is an underlying goal of expanding horizons while remaining within a specific comfort zone. The point of tension between these two styles produces the potential for the sharing and distribution of community based communication that reaches a much larger audience and has enough momentum (Gemini is the movement of air and Sagittarius the spark of flame that rises higher with air’s fueling). Both Gemini and Sagittarius are of the mutable modality; meaning each has the a natural predisposition towards expansion, flexibility and being able to extend beyond the norm as long as rigidity does not set in. Sagittarius as a Fire sign heats those full and ripe waters of the lunar tides. Using this energy in conjunction with the cooling air of Solar Gemini keeps those waters moving and flowing never reaching the boiling point that would evaporate what efforts had been made. It is a sign of action. 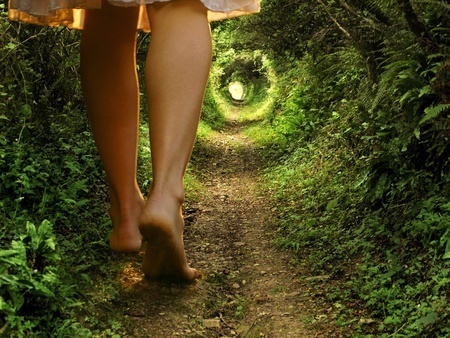 Sagittarius not only walks the path but blazes the trail and lights the way as it moves through new experiences. The symbol associated with Sagittarius is that of the archer. The overwhelming energy of Fire is that of transformation through change. Typified by the Archer, this is the fire that sends its sparks out in many directions with the aspirations that one or two will energize, take root and ultimately become the bonfires that quicken and transform. Sagittarius is the ninth sign of the Zodiac and as such the action of this energy initializes and catalyzes the will to action. The ruling planet of Sagittarius is Jupiter. This planet as no other naturally causes expansion, whether it is desired or not. Prosperity and abundance are common themes of this planetary energy and it is this dynamic that ensures that the fiery arrows of distribution released from the bow of Sagittarius are propelled far and wide before touching down. Making use of this expansive energy is as simple as filling the lungs and then sighing into the release. Energetically, this Full Moon is ripe for workings that are directed towards bolstering the will (Fires of Sagittarius) within the creative waters (Moon) that spur you on towards your desired goals. This is the basic premise of successful working. Being emotionally engaged in what is desired is not enough. Those emotions need to be fired up enough to encourage will full action towards the goal. As the old adage goes- “wishing won’t make it happen”. Add the strength of the Solar Month and the inventive mind of Gemini and all are working towards manifestation and realization of what is most desired. Additionally, we have some other astrological refinements that make this Full Moon one that could really become the pivotal point where change can begin. Neptune stationed retrograde a few days ago so the focus is on the deep waters that hold the mystery of our emotional nature. This supports the fullness of the Moon in a way that allows for some retrieving of those subconscious past memories that have informed your present state; bringing up for closer look and then applying the healing that may be needed. Mercury also stationed retrograde a few days ago as well. The focus is on hypersensitivity to what is being communicated and making sure that there is no misunderstanding. 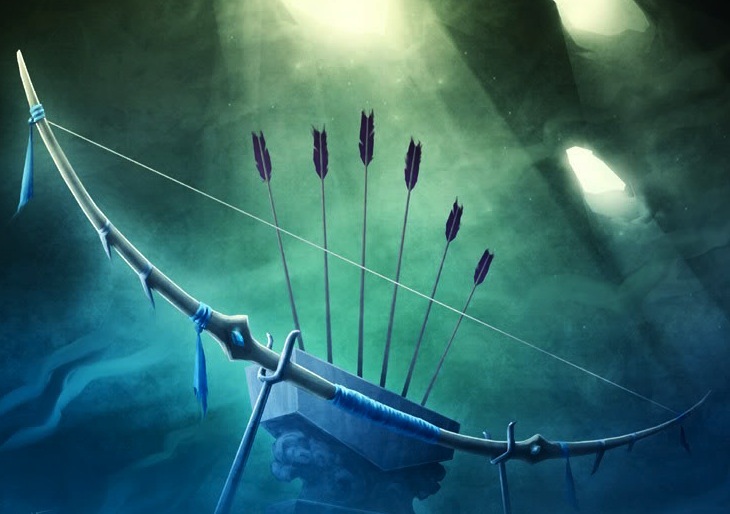 Have this pause as the archer is gearing up to shoot the arrows of networking and communal effort gives that extra point of re-sighting so the arrows hit the intended mark and don’t go astray. Tomorrow as I sit in the energy of the Full Moon, I will reflect on where I want to actively fire (Sagittarius) up my intentions. I will let this thought (Gemini) settle into my sacred waters of feeling and intuition (Moon). I will breathe deeply and submerge myself a little more deeply (Neptune) into what I truly feel about this intention. I will make declaration in witness (Sun) of my guides and guardians of my desired goal. As inquisitive mind gives pause (Mercury) and my will to action expands, I rise from these waters of inspiration, bow at the ready , aim my arrow of intent and with the passion of one who has seen a new trail to blaze will release and shoot (Sagittarius) for the heavens. This, my Full Moon intent blessed by the Mother and affirmed by Father Sun’s golden eye. And, the latest planet, Neptune that began its retrograde on June 9th. Each of these planets has their own particular intensity in the normal progressions, so when they retrograde in their cycles and hold strong for the duration of that transit, everything is magnified and enabled for deep and potentially very productive inner dialogue. We are several weeks into the Saturn and Pluto retrogrades and no doubt you have sensed an underlying need for change (Pluto) that would bring order (Saturn) to certain areas of your life. At times this push was most likely unavoidable and the emotions generated were bubbling under the guise of detachment and apathy (Pluto) as you struggled to hold tight to the (chaotic) status quo. If you have been actively working with the Saturnian and Plutonian energies, although there is still much work to be done in shoring up those aspects within your life that need greater control and regimen (Saturn), you have made efforts towards revitalizing and transforming (Pluto) what could be saved as you sought out to find the weak points and bolster (Saturn) them with more disciplined action and intent. 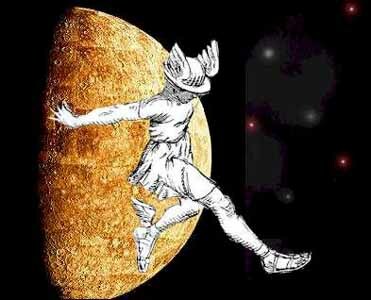 Mercury’s recent retrograde added to the mix offers the opportunity for deeper scrutiny and a pause on charging ahead. Think of it as a filter to be sure that everything is truly in the correct state of affairs and ready to be expressed (Mercury) in the best possible light when the dust clears and Mercury moves direct. Add to this mix a retrograde of Neptune and you have the potion of change at all levels of self. Neptune is the ruling planet of Pisces (the most compassionate of the Zodiacal signs) and is considered the deepest waters of emotional expression. At this level of submersion the outcome of successful navigation is finding those treasures buried deeply within the subconscious and finding all of those beautiful aspects of self that light the deep abyss with bioluminescence. This light is the heightened awareness that intuitively guides you through the darkness, trusting its course. As Neptune stationed retrograde, the Moon was waxing in the astrological sign of Scorpio. This added a deeper complexity to the start of this retrograde, both being of water, hidden resources and the mysteries of the subconscious. In Esoteric astrology, Neptune is considered the higher octave of the Moon and is most closely linked to the work of the Soul as it manifests its purpose through our physical form. These are the emotions that have been drawn into the Soul level and have been infused with a deep and mystical understanding of all compassionate Love. 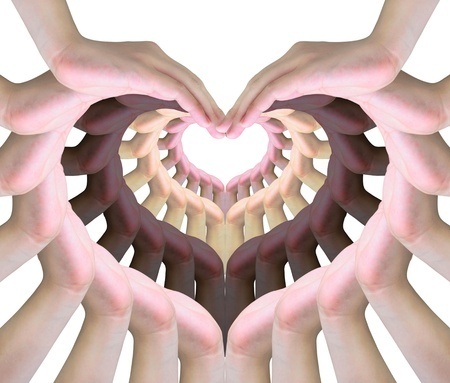 This burgeoning of compassion produces a sensitivity to others that during the retrograde may become more pronounced. Try to take nothing “personally”, but instead allow these feelings to move easily along simply acknowledging them and then letting them pass. Part of the work in being human is learning that we can be attuned to others, but do not need to wear the mantle of their sorrows as our own. The Moon provides the flow of understanding and intuition that create the space for healing and compassion. The waxing and waning of this energy, carefully carving the pathway of opening, much like the shoreline’s redefinition with the ebb and flow of the tides, that changes the way in which we interact and present ourselves to the world. This is the aspect of “humanity” within that connects us to the collective condition of the human race. This is where understanding and compassion lives within and it is from the vista of this inner temple that we can safely dive into the surrounding waters that hold the keys for expression. If we amplify this energy moving deeper into the mysteries of our emotional seascape, Neptune (Archetypically, The King of the Sea) awaits us ready to guide that journey. Neptune comes as an initiator into the deeper mysteries of the Soul’s work. Much of this work is brought to the surface through our dreams and the intended focus of allowing ourselves to be receptive to the insights offered. Traditionally, Neptune is attributed with holding a veil of illusion that clouds the true sight. It is true that the deep waters of the ocean’s depths can be murky and lack the clarity that is needed in seeing what lay ahead. But, this so called “veiling” is also what encourages us to rely on our inner sense of sight and visioning that is the truer course. The lifting of this veil is also the threshold we pass through as we enter into the dream state and deep visioning. When Neptune retrogrades our dreams often become richer and more active as the intuitive senses open to the deeper reserves that are Neptune’s domain. Entering into the dream state with questions posed or a problem to be solved during this time will often provide the necessary keys for answer and resolution. If we approach this work wielding the Trident of King Neptune we can make use of the specific type of energy it represents. 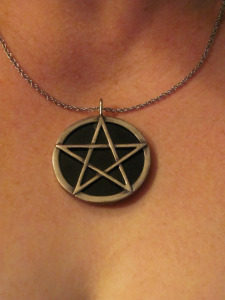 This triad emanates will, love and intellect working cohesively through its pointed directive. This interaction pierces the waters of our deepest nature and the result is one of active creation and transformation of what rises to the surface. We require the will of desire to accomplish our intended goal. The emotional engagement (love) fuels that desire and the inventive mind allows us to see the task from all perspectives and reach viable conclusion. The cycle begins anew with the seed of thought (intellect) acting as catalyst to inspired the newly informed will to love. So, dive deeply into the dreamscape. Hold the intent of seeing with a deeper sense of what will support your spiritual journey and light the way towards moving intuitively and organically through all of your actions. Envision a space of deepening that is your inner Temple of insight that allows you to lift the veil of what you feel yourself to be. Look out on the vastness that is the ocean of your dreams, hopes, creations and all things that add the “humanity” to your physical expression. Neptune retrogrades on the Ninth (9) day of the Sixth (6) month. Nine is the number of initiations, thresholds, death and rebirth. Six is the illumined trinity of harmonious action. The 3 parts of selves elevated in dialogue with the 3 higher parts of Being. And, the entire year we re held under the number 7 (2014= 2+1+4=7). Seven is the number of new paths taken carved from the experiences and lessons learned previously. It is the space of higher education and new trails to be blazed. 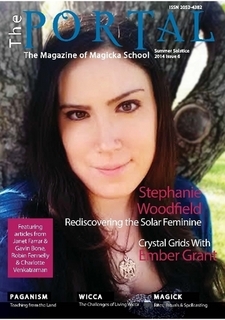 The Magick of Gemini is based in the realms of the mental and creation of an outcome that is flexible and adaptable in its inventive style. Whatever we apply Geminian energy towards is going to receive the advantage of keen perception and the ability to swiftly communicate what it needs to complete the cycle of seed thought to finished product. Its strength lay in being able to change course as new ideas emerge from a seemingly never ending stream of flow. This can also be a detriment, if the breaks are not put on soon enough and a final determination is made. Indecisiveness, largely from being able to see many views is a caution. However, any workings that require a think tank type of kick-start receive the greatest boost from Gemini’s energy. Gemini works directly on the Nervous System (it is after all our communication center), so workings that require a calming or slowing down of hyperactivity are best served by using Gemini’s energy during the phases of Waning Lunar or Solar month energy. Similar to a homeopathic approach of like negating like (remember the attribution of Twins to this astrological sign) focus of release of excess nervous energy can be quite effective. Conversely, using Gemini’s action during a Waxing phase (Lunar or Solar Month) can rev up a sluggish decision making process that may be waylaid by too much emotional impact and not enough pure logic. Think of this like receiving a Vitamin-B booster shot to restore energy. Additionally, Gemini can be used quite effectively in assessing personal health. The symbol of the Caduceus that is associated with Mercury and the healing profession speaks to the healing power found in obtaining the needed information for accurate diagnosis and subsequent treatment. Scanning your body in meditation and asking the aid of Mercury and Gemini’s clarity in seeking out areas of dis-ease is a routine practice that many on a spiritual path make use of. THIS PRACTICE DOES NOT REPLACE SEEKING THE ADVICE OF A MEDICAL PRACTITIONER, but our bodies are dynamic in their own information systems and learning to attune to what our bodies are telling us regarding health, diet and the ways in which we use them can be quite purposeful in bodily awareness. Gemini as the third sign of the Solar Year concerns itself with the intellect and the pursuits of mental expansion and flexibility. The Solar Month of Gemini is an excellent time to begin enhancing the mental faculties, pursue further education/study or ponder the effects of inventive mind on creating a more wholistic worldview that takes into consideration the heart as well as the mind. This is also a time for testing the limits of what your effects are on those you interact with motivated by what you perceive to be your true base of knowledge. The energy of this Solar month of Gemini, next flows into the deep emotional waters of Cancer, so whatever progress is made at a mental level will be called to the task of defining itself through feeling your way in moving forward. This approach can be used for short-term projects, but is most effective for long-term workings. A goal such as wanting to develop and refine your skills of communication or begin an educational project benefits from beginning its cycle while the Sun is in Gemini. Similar to the New, Full and Waning cycles of the Lunar Month, beginning the working in the Solar Month of Gemini would be the first phase of stimulating the inventive aspects of the mental process. This may take the form of continuing an education goal, planning a new project (or business venture), or simply plotting out a course of how to more effectively exchange ideas. Using the cycle of Air and those astrological signs of that element the next point of bolstering the energy would be during Libra. The Solar Month of Libra stands as the Full phase of the mental (Air) energy, and signals readiness to bring to a state of balance those options that have blossomed as the layers of mind reveal more detail about what the possible outcomes may be. Libra is of a Cardinal modality so the opportunity to hone in on a singular goal and move forward with the refined product is at hand. The stable energy of Aquarius (the last of the Air signs) would serve as the point of coalescing the information acquired and elevate it to the level of use for the broader good. The Aquarian focus is one of seeing the bigger picture, recognizing it for its potential and then offering it up in the visionary style that is of benefit to the greater collective. Use of Lunar energy in the astrological sign of Gemini provides the energetic principle of the breath of creation on the emotional waters that birth the great inventions and inspired actions. Gemini provides the opportunity for coalescing what the mind conceives of and what the heart desires. The natural comfort zone of Gemini is relying on wit and strategy with the emotional responses being secondary. Aligning the Moon’s healing and intuitive force with the mental agility of Gemini draws up from the subconscious those places of “knowingness” that are Divinely inspired and informed by feeling and logic. 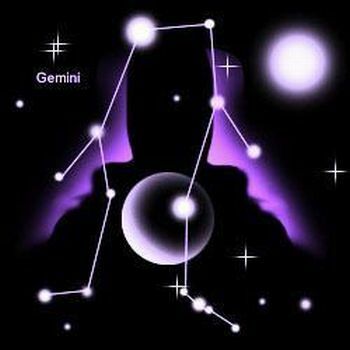 Workings that desire the goal of quickening the mental processes, opening to creative communication, healings and business interactions aptly make use of Gemini’s energy. Improvements that are relevant to how you express yourself and what is created from that expression also benefit from Gemini’s application. The New Moon of Gemini could be used to set up the foundation for beginning the process of being able to express yourself more clearly and with more flexibility. You would spend some time deciding upon which area of your life you would like this support to be given. Sit down and brainstorm how you would be best served by this enhancement. And, once settled upon, begin the process of taking action towards this goal. The Full Moon would reinforce the steps taken and bring to light the achievements made thus far. The opportunity to refine and add more clarity to what has evolved moves strongly through the ideas that come to the surface and the rationale for continuing to feed them stands in the strength of this fullness. And, the Waning Moon’s energy would be used to release what remains as mental obstacles in allowing you to bring clarity to your communications. This is the time to further tweek and modify what has been learned and formulate a logical conclusion that will sustain your efforts. 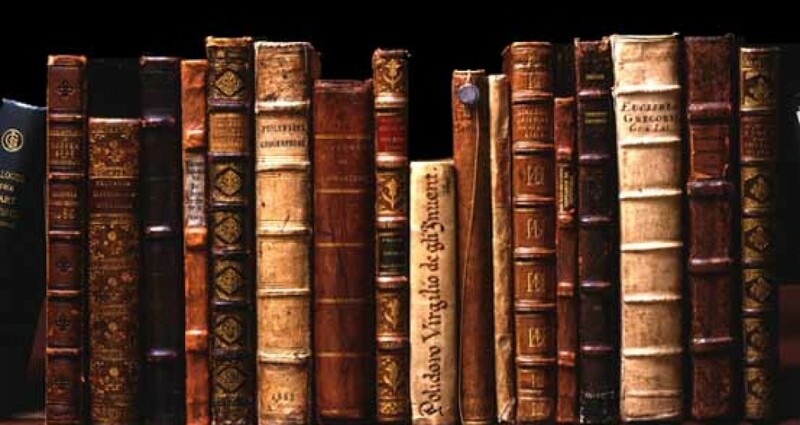 Keywords: Intellect; agility; education; knowledge, changeability. The Archetype: The Jester is the archetype associated with Gemini. This exemplifies the aspect of Geminians that is entertaining in their prodigious outpouring of information. Often non-stop, at lightening speeds and at times wavering in final decision there is no lack of conversation to be had when Gemini enters in. For some these antics are amusing and perceived as “trying too hard”, often because the delivery of these sound bytes is handled in such a detached and analytical style. Being ruled by head rather than heart can bring about a general consensus of not taking seriously what is communicated, largely because of the vacillating scope of information that is as difficult to grasp the intended meaning as a moving target is to still. 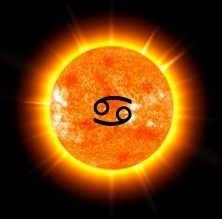 Rules Astrological House: The 3rd House of the Zodiac, the “House of Expression”. This is the house that defines the way in which you communicate and express yourself in the world. Moving through the Zodiacal Wheel’s energy, the First House is the singular “you” identified by your personality and who you are presently and who you who hope to become. The second House holds the possessions and things you have acquired that further define you. The Third House represents how you express yourself based on what you have learned of yourself (1st House) and what you have chosen to surround yourself with in the material world (2nd House). How we express ourselves depends on communication as the vehicle. How and what we think defines how we engage the world and others. We invent and then re-invent ourselves based upon our inner dialogue. The results of those perceptions then become our new path of expression. Color: The vibrant Yellow of mind and clarity. This attribution speaks to the mental nature of Gemini and the clarity that is prodigious in the workings of the Geminian mind. Blue is also associated as a reference to the airy quality of Gemini and the limitless vastness of a sky that holds multiple possible outcomes. The intellect moves and flows moving its energy through the aethers much like the radio waves that carry signals transparently and with clarity. If Qabalistically inclined, the color orange is used relevant to the sphere of Hod (pure Mind). That have been strongly built. As I soar towards the mirror reflection of myself. Gemini is the third sign of the Zodiac. Having found the strength of grounding and establishing the necessary roots on Taurus, Gemini is now ready to communicate what has been gifted from the resourcefulness of Taurus. Gemini completes the first level of triad’s that comprise the modalities of the Zodiacal wheel. We have experienced the initial flow bursting from Aries and the wrangling of that flow into a place of stability in Fixed Taurus. Now we arrive at Gemini and the mutable modality that both reaches towards the end goal and heralds the gate that becomes the next flow of catalyzing Cardinal energy (Cancer). Mentally, the flow from Taurus to Gemini is one of probing the inventive spirit that naturally arises when we lay foundations. We build a house and upon seeing what the finished product is, we beginning visualizing what each room should look like; imagine what changes can be made that will more aptly show to the world who you are. Taurus was the child, digging in the dirt, making mud pies and seeing everything from a sensorial approach, learning from the experience in preparation for communicating everything it knows. Gemini lets everyone know how much fun was to be had from the experience. As you deepen into these musings, you are surprised to find that you are once again standing centrally in the circular room. You make mental note that there had been no obvious transition from one space to the other and you think back to the trickery of the mirror you gazed into. Giving this no more thought, you look upwards towards the night sky and it seems as though a few of the stars are shining a bit more brightly now than when you first entered. You take a deep breath in and as you exhale, you feel enlivened and at peace in this space of celestial beauty. You know you will visit many times again as the solar months progress and the thought fills you with anticipation of what each of your journeys will reveal. You gently close your eyes and when you open them you are surrounded by the blue veil of energy that carried you to this inner sky. As you take a few more deep breaths and fill the intent with awareness of your physical being and return to your physical space, the mist clears and the smells, sounds and sights of the room in which you began our journey floods your senses. You feel the floor beneath you and the chair on which you are sitting. Noises of the mundane world come back filling ear and mind with thoughts of going about the rest of your day or evening. 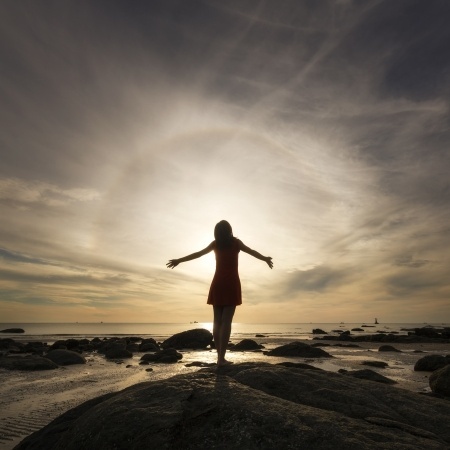 You take a deep breath in, savoring the vestiges of your astral journey and the insight it provided, and strongly exhale out affirming your oneness with the present moment of physical time and space. Day Twenty-Four- Talk it Up!